Didn’t get all your shredding done after tax day? Bring it to Camp Chapel United Methodist Church on Saturday, May 14th. 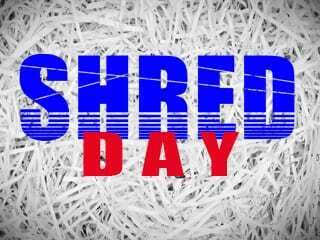 The church will be hosting a shred day from 10 a.m. to noon. Staples and paper clips do not need to be removed and participants will be able to watch their documents get shredded. The church is raising money for its furniture ministry that helps those moving out shelters get set up in permanent housing. The cost will be $10 per box. Camp Chapel United Methodist Church is located at 5000 E. Joppa Road at Honeygo Boulevard.